In an age where fake news is beginning to dominate the media consumed by millions of people around the world and Google’s results are being gamed by racist organizations, claiming that students don’t need to know anything because “they can just Google it” is irresponsible at best and negligent at worst. Students (and adults) are struggling to determine what’s real and what’s not. 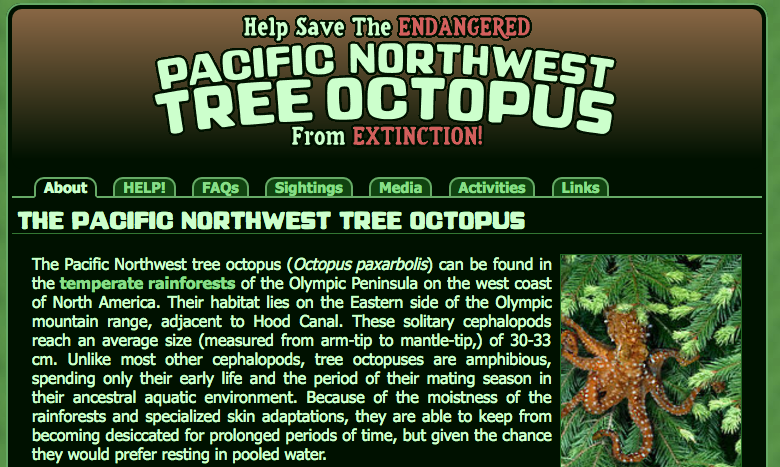 We need to do more as educators than just surface that fake news exists (like the Northwest Tree Octopus). We must ensure that our children leave school knowing enough history, geography, math, science, language, etc… so that they cannot be easily be fooled by fake news. The best inoculation against misinformation is a rich base of knowledge and experience that contradicts that misinformation.